Because we believe that all human effort is wasted unless the Lord undergirds every aspect of church life, we seek to pray continually. Members are urged and resourced to pray for one another and the church. But we also believe that corporate prayer is essential to any healthy gathering of Christians. Therefore, we take turns praying in the the Prayer room while the pastor is preaching the Word of God and willing members gather every Sunday morning by 8:15 a.m. to pray for 45 minutes in the sanctuary loft for the upcoming service. Our pastor solicits prayers from the congregation and even encourages us sometimes to pray in small groups during the congregational prayer time. 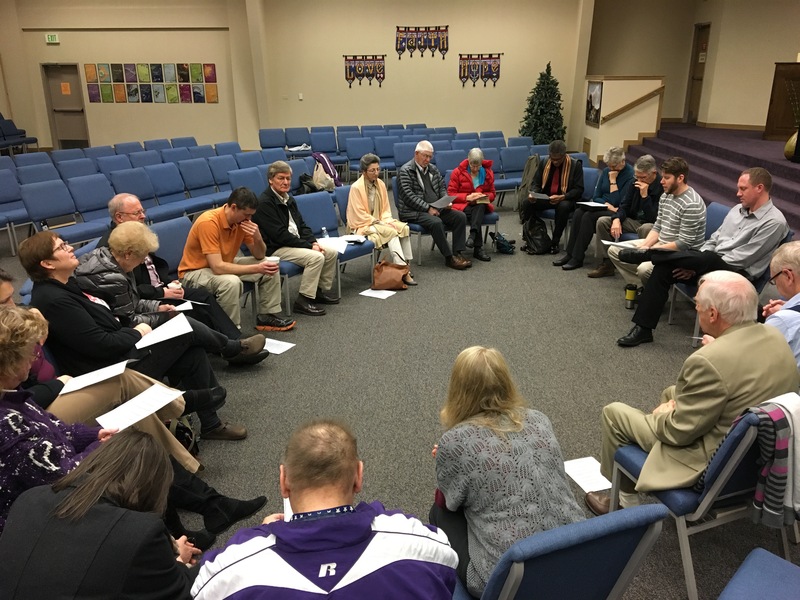 Our small groups devote considerable time to praying for one another and we have opened our campus to the Light of the World Prayer Center to facilitate the prayer movement in Whatcom County. If you are needing prayer, contact the church office to be referred to an intercessor.